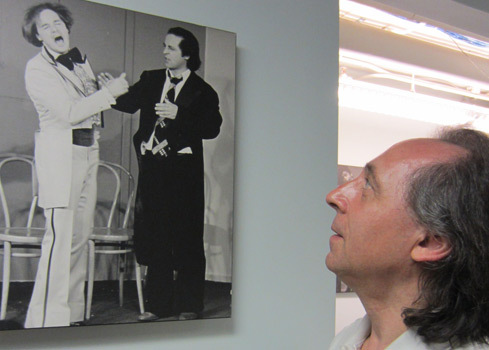 Improv in Toronto, Improv into life, learning to say "Yes, and…"
Tony Rosato needs no introduction. He is a comedy legend in his own right. Having starred in SCTV and Saturday Night Live, he continued to work on numerous television shows and movies, alongside big name celebrities. What you may not know about Rosato, is how gracious he is. In a candid interview, Rosato opens up to Improv inTO about his life in comedy, discussing topics such as working with John Candy and Joe Flaherty to starring in a sitcom with Bea Arthur, being inducted to Canada’s Walk of Fame, the struggles of staying well-known, thoughts on profanity in performance, and his 7-year old daughter. After a hiatus from acting, Rosato is returning to his roots in improv, and taking classes at Toronto’s Second City– a testament of dedication to his craft. As one of his classmates, I am amazed week in and week out at his talent, quick wit and genuineness. You are incredibly funny. When you perform, it seems effortless. Were you funny as a child? Yeah, I was mischievous. I hung out with a group of brats. We were always into trouble, doing pranks around the school. Growing up who were some of your role models or inspirations? I started going to movies when I was around eight. I used to sneak into the theatres in Ottawa. I saw a few Italian films that I really liked, Fellini movies, with Marcello Mastroianni. He was a role model. I liked all the Warner Brothers cartoons, with Mel Blanc doing the voices, like Bugs Bunny and Daffy Duck. I watched The Three Stooges, and The Honeymooners with Jackie Gleason. Burt Lancaster was one of my favourite actors. But you know, I liked all of the old comedians. I liked Charlie Chaplin a great deal. When did you know you wanted to be a comedian? Had you ever done comedy or improv prior to that time? No. I had done a little bit of stage work at the Ottawa Little Theatre, and the Jewish Community Centre. I did a Neil Simon play Come Blow Your Horn. That’s about as close as I got to doing comedy. What was your family’s reaction when you decided to stop your studies and pursue comedy? They were not that pleased. It was just my mom and I. My dad passed away when I was 12. So it was with my mom’s permission. She wanted to see me get into something like be a lawyer, be a doctor, be something that’ll really have a solid career down the road. But once I told her how much I was enjoying it, and invited her and my other family members, cousins and so on, to see the show, they really enjoyed it. I was in the [Second City] Touring Company’s show and doing improv with them, so my family saw that I was really enjoying it. That was the important thing to them, that I was doing something that I cared about. How did you get to be on SCTV? Once I had that conversation with Peter Aykroyd, he convinced me I should join the workshops [at the Second City]. So I went down and did a workshop with them, and they said “You’ve got talent; we’d like to put you in the master class.” And I said “Oh, ok, what’s that?” “That’s the more evolved class that leads to getting into the touring company.” And I said “OK, I’d love to do that.” And I did, and then one of the Touring Company members got ill, and they needed someone to replace him. He was in a car accident – Don Lamont. So I took his place and I never left. They kept me in the show, and I just kept reaching for the mainstage show. I finally got to the mainstage show in a couple of years. And this is before you’re on the air with SCTV – this is with Second City. Right. So once I got on the mainstage, I was there for about four years, and then John Candy and Joe Flaherty asked me if I wanted to be in the television series. I said yes, and so did Robin Duke. We [Rosato and Duke] both got invited from the same cast. And we had been doing small parts on the show already, as extras, just in the background of certain sketches. So we had already kind of got our feet wet being on the show that way before they asked us to be on full-time. Yeah, I only did two seasons of SCTV, three with bit parts. And they didn’t know if they were going to continue the show. People were having changes of mind whether or not they wanted to continue doing SCTV. John Candy wanted to do his own show. Rick [Moranis] and Dave [Thomas] wanted to do their own show, as the McKenzie brothers. It looked like the show was falling apart. And one night, while we were doing the Second City stage show still, somebody from Saturday Night Live came to watch the show, for the purposes of hiring people. So they approached me at the end of the show and said they’d like to hire me. So I said “Yeah. I’d like to do that.” Catherine O’Hara got invited as well. We both went to New York to do Saturday Night Live. But Catherine didn’t quite like the vibe of the head writers and the way it was set up, so she left, but she suggested that Robin Duke replace her. And so [Saturday Night Live] offered Robin Duke the role as well. What was it like living in New York compared to Toronto? It’s so much more fast-paced. It’s such a huge city. It’s overwhelming, really. There are a lot of exciting places to go catch theatre and live shows. There’s Broadway. Just knowing Broadway was there was so exciting. How was it working on Saturday Night Live versus SCTV ? Completely different. Saturday Night Live was a high-tension, stress show. It was a live show; it had to be produced live every Saturday night. So by Saturday night you had to have 90 minutes of comedy material written, and we seldom had time to rehearse the entire 90 minutes of material. That’s why we had cue cards. You had to get to know the host. We had famous actors who would come and host the show. You had to take care of them as well; some of them had never done sketch comedy. I was a writer and an actor on the show; it was very difficult trying to balance the two, and just trying to write for other people, as well as write for yourself. You wouldn’t just write for yourself, you’d also write for other people? You had to write for other people as well. Wow. That must have been really high-pressure. It was high pressure, yeah. It was. SCTV was much more laid back. It had no set standard of time by which we had to have the shows written. We would take a block of time over the year to write the shows and then we would take these written shows to camera. So you’d do it all at once. You wouldn’t do a writing, a taping, and then go back to writing? No. We tried to do all the writing upfront. When we got to tape, we’d have all our shows, and then if we had to fine tune anything, we’d bring it back in and workshop it or fix it in a writing session. But we had all our stuff written and then we’d go to tape. Did you prefer one experience over the other? They both had an exciting edge to them. I can’t say I like one or the other better. I found both of them really a lot of fun. Do you have any special memories of your time either at SNL or SCTV? I liked working with some of the actors that we got to work with. Working with John Candy was a real treat. 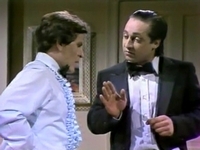 Working with Joe Flaherty all the time was really great, he was such a genius. The SCTV cast members that were there, Andrea Martin, Catherine O’Hara, Robin Duke, and people like that, were so good. On Saturday Night Live, Eddie Murphy was really exciting, he’s a really good performer. The cast I worked with was just a great cast. We had guest stars and bands that were really great as well. Do you have a favourite skit or a role that you played? When I joined Saturday Night Live, Tim Kazurinsky played the son. Poor guy, he got thrown into it at the last minute. It was about a 20 minute sketch. The cue cards were there for him, but he was really strong at improvising, so he was able to go through the scene with me as I led him through it. He did a great job. After all your achievements, why are you currently studying improv at the Second City? Well, because I hadn’t done improv in a long time. And it’s a skill, as you know. You have to stay fresh with it otherwise you start losing that sense of gravity that any good improviser has, that sense of courage, and strength. I hadn’t been well in the past few years, and I was trying to get back on my feet, trying to get strong again. So I went back to my roots, to try to get back to doing what I started to do, and just find it from the beginning again.Second City classes seemed like a good idea, since they have a whole series of them, and you can work your way up to a higher level within each class. And I wasn’t really a strong improviser when I was at Second City I don’t think. I don’t know. I may have been and maybe just didn’t know it. But I didn’t think I was. And so I really wanted to do improv this time around and learn what I may have missed. Just to get strong, to get strong again. Trying to stay in a certain position of recognition. Trying to stay strong where people know who you are in your career. Trying to keep yourself in front of the audience. That’s the biggest challenge. It’s trying to stay well-known, recognized, still doing good work, in projects that have some merit, showcasing yourself. You want to be well-known in what you do, because you want to do it well. You want people to say that you’re doing a good job. What did you work on after Saturday Night Live? I ended up on a sitcom after that, with Bea Arthur from The Golden Girls. She was coming back from doing a series called Maude, and the series had ended. She was looking to do her next series, and she bought the rights to Fawlty Towers, which is a series with John Cleese, and it was called Amanda’s (or Amanda’s by the Sea). It was about this hotel. This woman was running this hotel by herself, and with her crazy Italian waiter. Yeah, so I got that role. But we only did one season of it, and that was it. [Bea Arthur] got ill, and we had to call the show off. She got ill again later on with throat cancer. So I came back toTorontoagain and got work here and stayed here. I always seemed to get work when I stayed here so I ended up staying here longer than I should probably. Aside from you having this remarkable ability to make people laugh and genuinely feel good in your presence, you’re very humble. How are you so humble, after having so much success? Wow, that’s so gentle of you to say. Gee, I guess if there is any sense of that, then I think it must come from the fact that I just appreciate how hard it is to work in this industry, and I appreciate all the people who are in it, and who are struggling to stay in it. It’s not easy. It’s a really difficult practice and art form to be part of, and to have any success in it at all is really tough, and to stay there with it is even tougher. I’m going through a period where I haven’t worked in it for a long time, other than doing animation, which has been good for me for the past couple of years and some voice work. You’ve worked on a lot of neat cartoons. 79 different cartoons. That’s a lot of animation. Is there a project or time that you’re particularly proud of? I liked doing that sketch that I did with Tim Kazurinsky on Saturday Night Live. Belushi liked it, Aykroyd liked it a lot, and I know that Gilda liked it. We got good reviews in the Chicago Sun Times and the New York Times. So it was a proud moment for me. Especially since it was the premiere of the season. A new season, a new show, a new cast. It was exciting. I think when we [SCTV] were being inducted into the Walk of Fame, with Joe Flaherty, Eugene Levy, Robin Duke, and Martin Short and everybody, and we got an honorary Gemini from the mayor Barbara Hall, those two recognitions were really important. They came at a time when I needed a pat on the back, and it was very strong, it was very nice, and they were very receptive to us as performers. [It] made us realize that they thought we were doing a really good job and had been doing a really good job over the years, as opposed to just over one period time. The honorary Gemini was for overall achievement, so I was really proud of those two awards. SCTV cast inducted into Canada’s Walk of Fame in 2002. I admire how you can be very funny and also quite clean in your delivery. What are your thoughts on profanity in comedy? You know, I came from a school where they didn’t allow it. Del Close, and Catherine O’Hara, Robin Duke, the cast that I was in, we weren’t allowed to swear. We had to watch our language on stage. It had to be for a very, very, very strong reason to pull out a swear word. Otherwise you just didn’t swear at all. I know it sounds really weird, maybe too clean, but that’s the way we were taught. Do you think profanity adds, or takes away, from humour? It steals a little bit from language, if you use it too much. You can get away with it if it’s used very punctually, and very succinctly and very appropriately – where it’s just an opportune moment to swear, if there is one. It can sometimes be hilarious. But overly done, it starts to diminish language, and when that happens, the rest isn’t as much a surprise. It’s supposed to be poetry at it’s best, as poetic as you can be. What do you currently like to watch? I just saw a cartoon with my daughter, my 7 year old, called Madagascar 3. I enjoyed it. Marty Short is brilliant in that movie. I thought that was really terrific. I know that sounds kind of cheesy, but it had some great names in it. What advice would you give to someone starting off in comedy, or with aspirations for a career in the performing arts? Aim high. Aim really high. Really get your talent together, really nurture your talent, nurture your skills. Take whatever class you can to nurture your skills. Find a good teacher that you can work with. And try to get involved in the best productions that are out there. But keep going at it. What’s next for you? What would you like to work on? I’m trying to put a troupe together. A comedy troupe. I’d like to take it and turn it into an exceptionally well known troupe. Based in Canada, and hopefully get work in the US as well. I’ve still got my green card and my working papers. I’m anxious to get a group together. A big group even, doesn’t have to be a small group. But strong on improv. We’re putting together some people who want to do it. Yeah, I’d like to see that get off the ground. You mentioned your daughter. Do you think that she might be a budding comedian? I think she’ll be a singer. My wife’s a singer, and an artist, she paints as well. And writes, she sold a book of poetry for publishing. Yeah my daughter’s quite a good singer, she has a karaoke set up at home. Sounds like a very artistic family. Yeah, my daughter has a lot of energy. She likes to dance a lot. Hi Tony, just wondering about your family background. Like you, my name is Tony Rosato. Born in Italy. 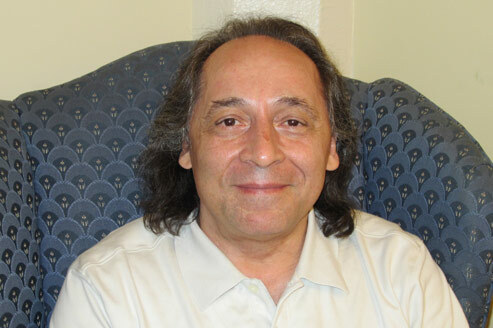 Immigrated to Toronto, Canada in 1957 and living now in norther Ontario. Just wondering if there is a family connection somewhere along the line. Improv for Actors 2 Performs!